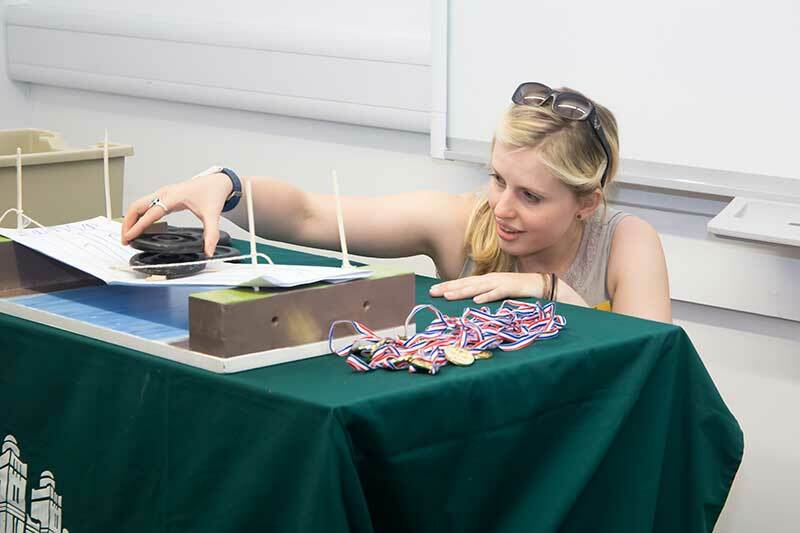 - pupil from Ursuline College. 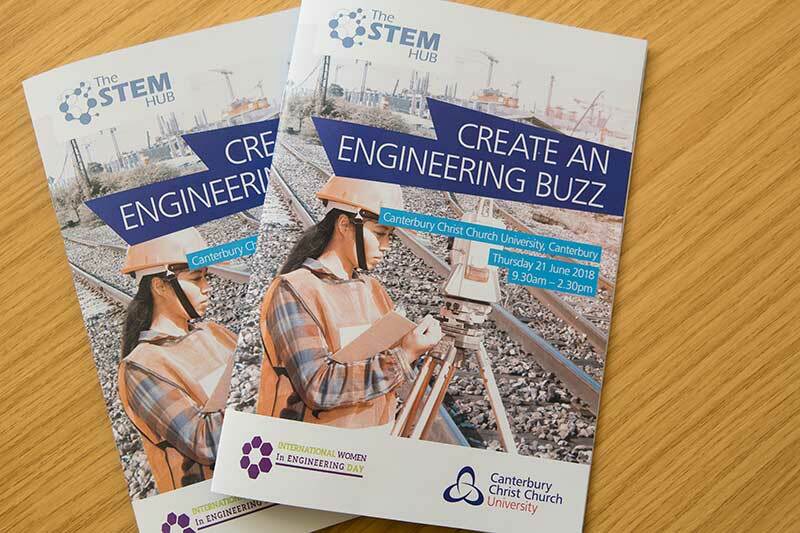 We are proud to have hosted presenters from some of the best-known names in industry at the first ever ‘Create an Engineering Buzz’ event. 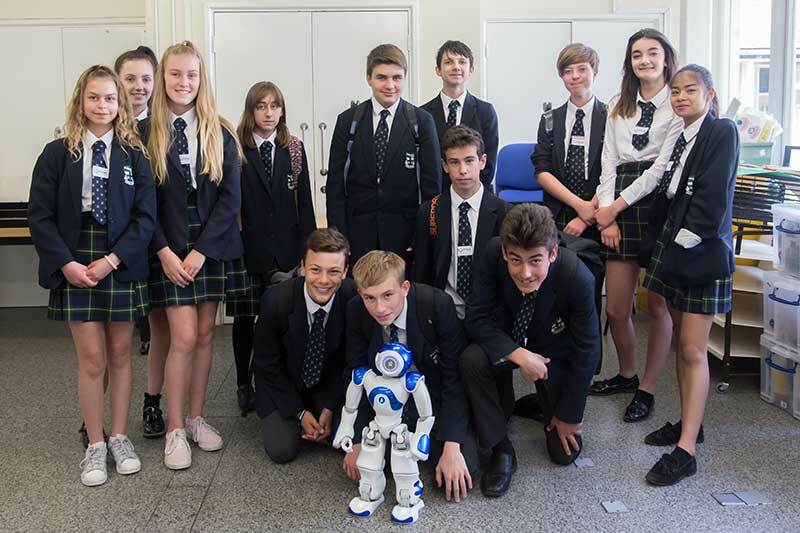 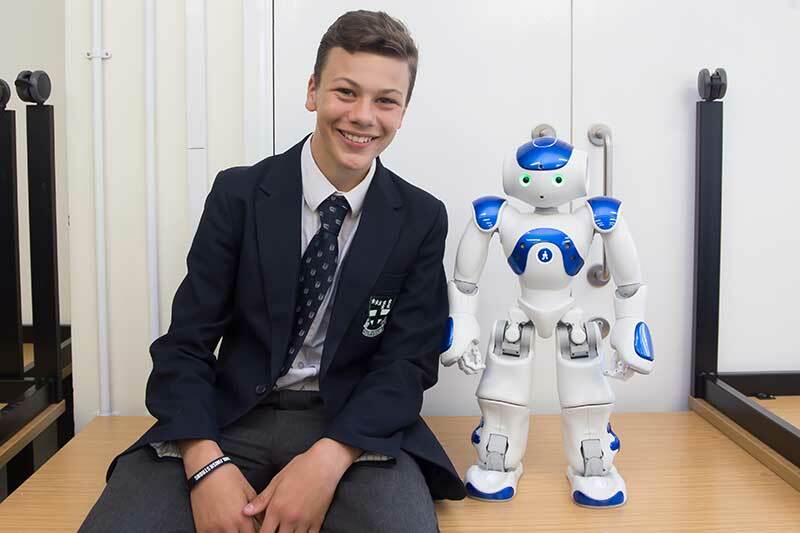 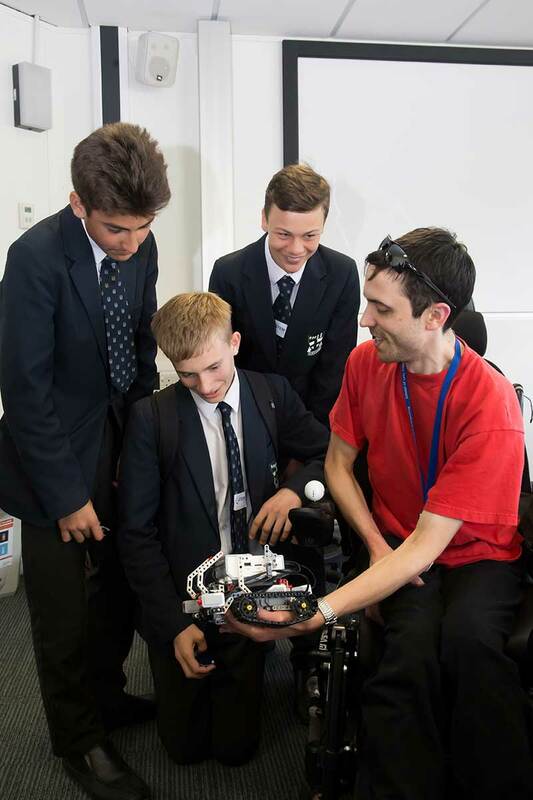 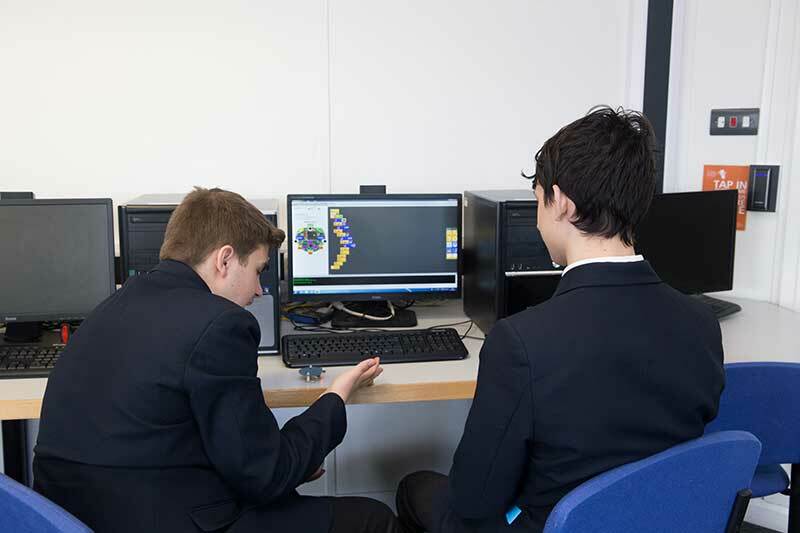 Five Secondary schools from the Kent and Medway region attended the event at the Canterbury campus of Canterbury Christ Church University on Thursday 21 June 2018. 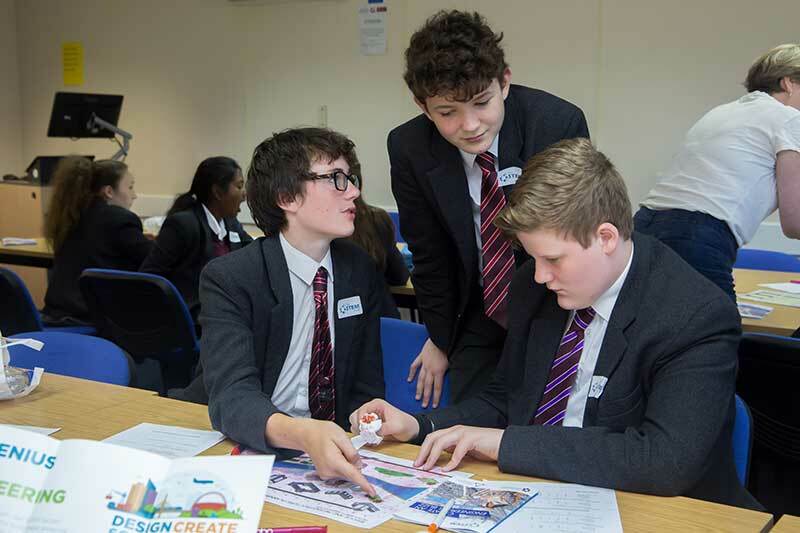 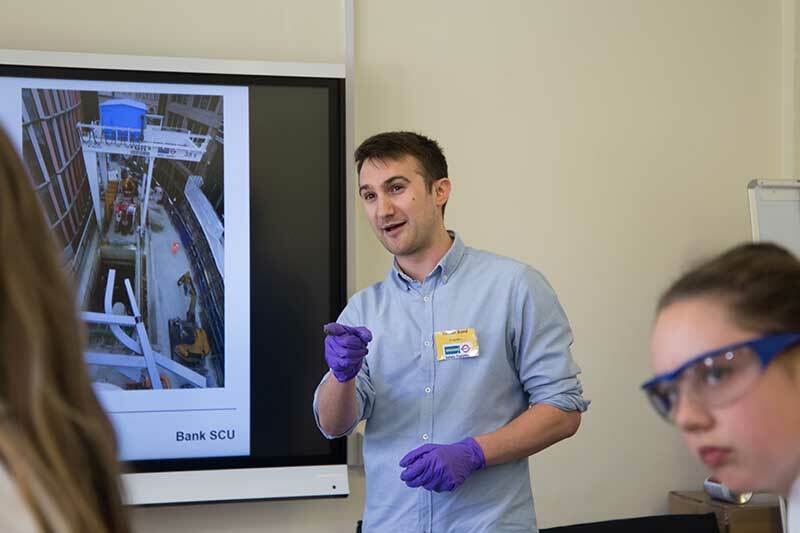 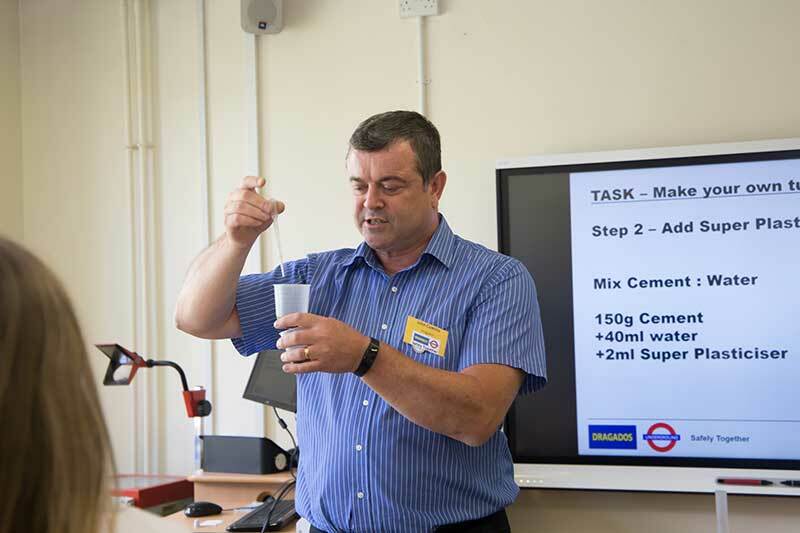 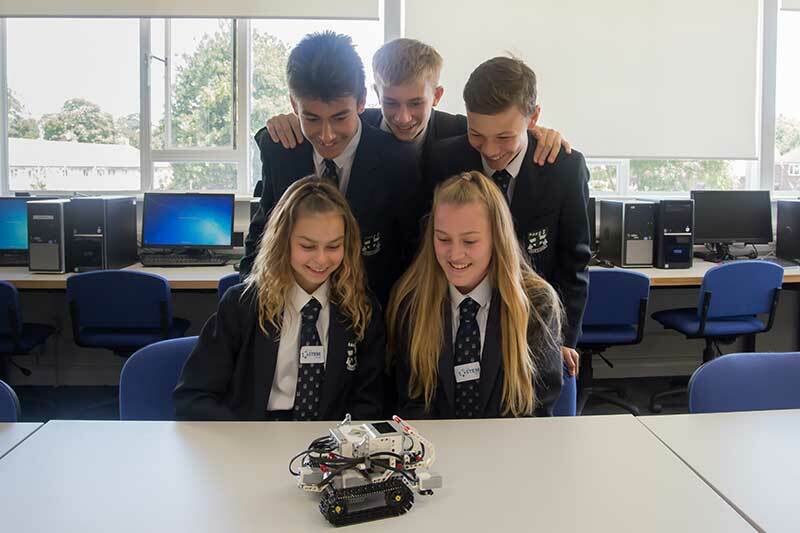 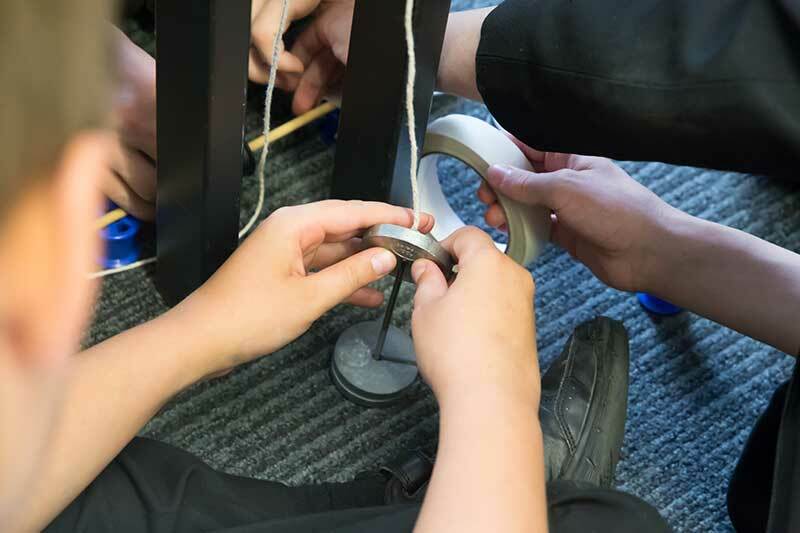 The event was run by STEM Ambassadors and volunteers from local engineering firms, who gave up their time to raise awareness and aspirations about engineering. 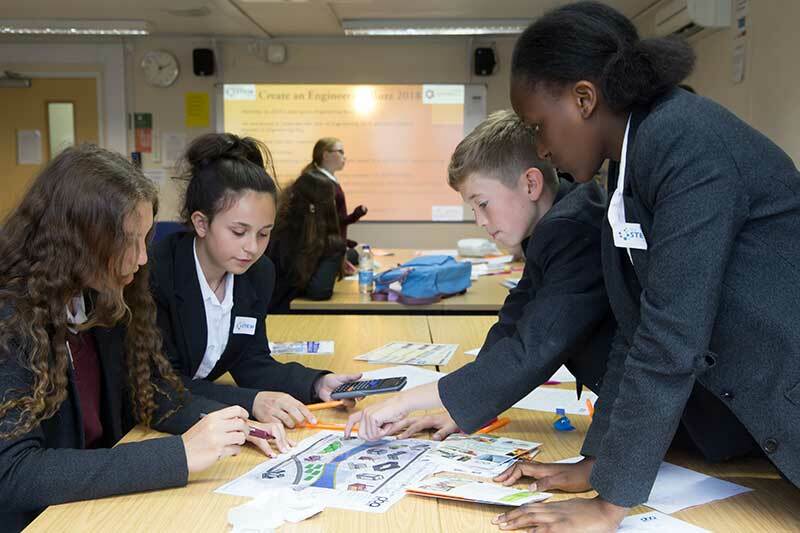 The day was started with all the groups attending a talk by Emily Ford, STEM Ambassador from EDF Energy. 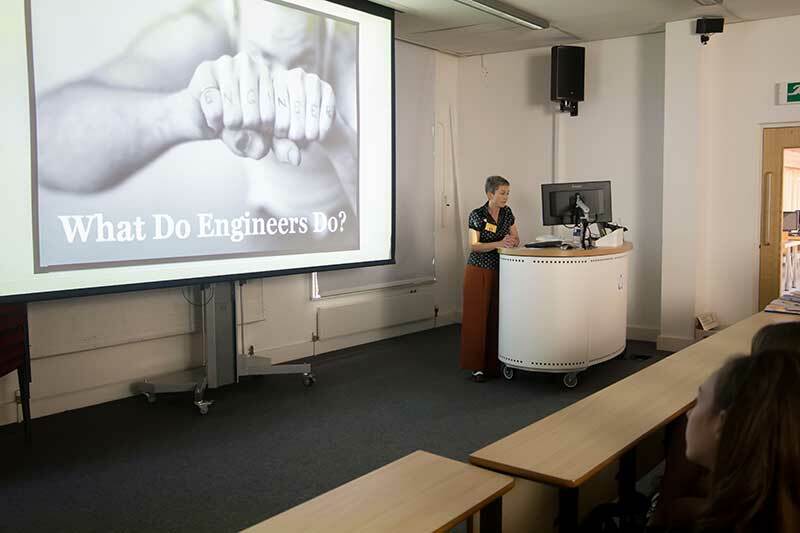 The focus of her talk was about encouraging more people to take up careers in engineering, and looking at what engineering really is. 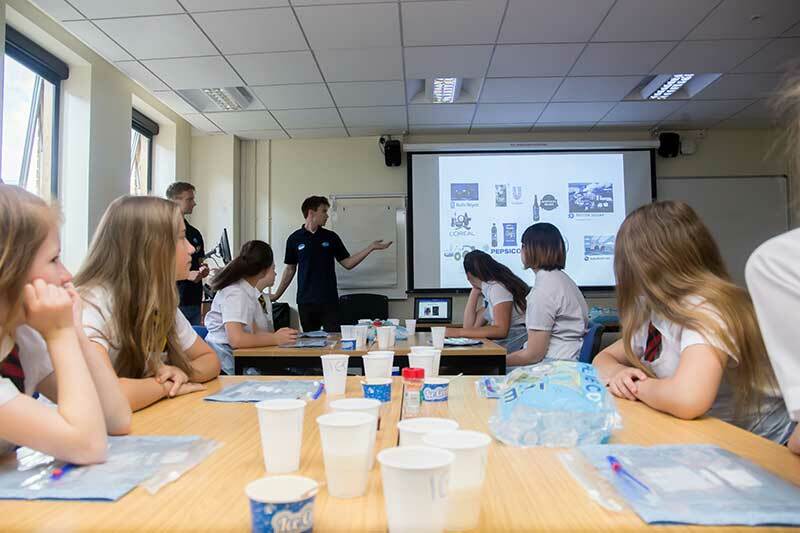 The schools all attended the final talk of the day about The Amy Johnson Project. 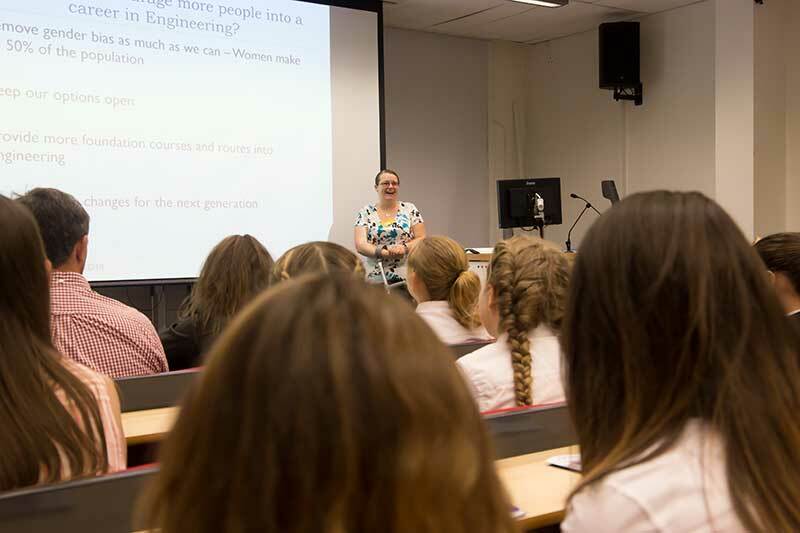 The presentation by Jane Piston STEM Ambassador told Amy’s story and aimed to inspire the next generation to consider a career in aviation and engineering to be bold, make brave choices and to follow their dreams! 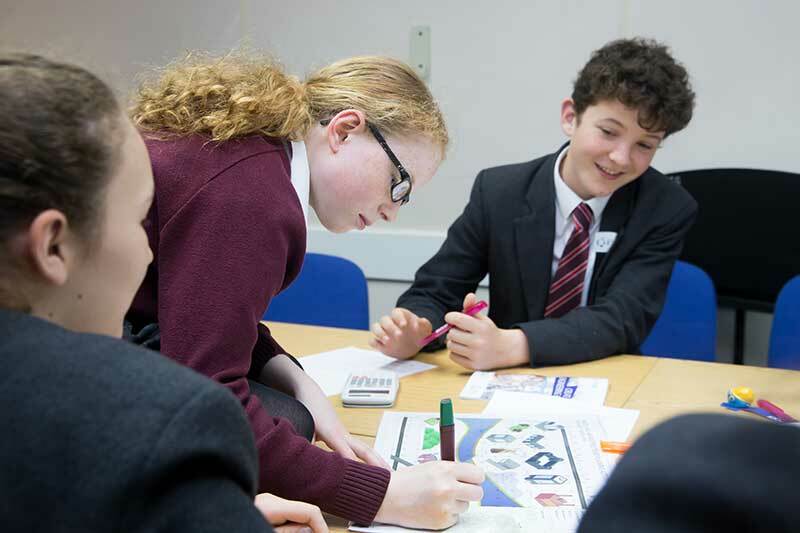 As you have read the event generated a great deal of positive feedback from students and teachers, and we would like to thank everyone involved in making the event such a success. 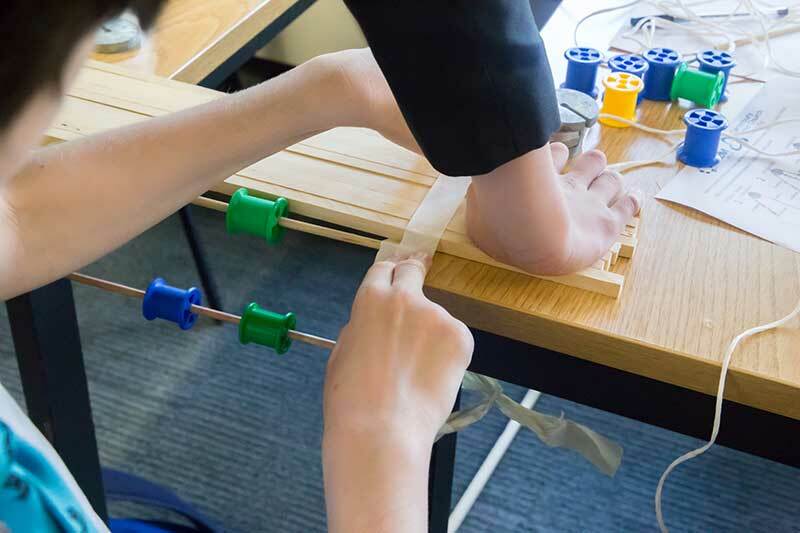 It even changed perceptions about who can be an engineer.